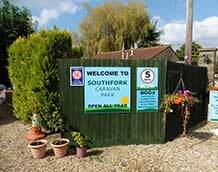 Southfork Caravan Park is situated in a peaceful, rural area of Somerset, between the villages of Martock & South Petherton. The site is level and part sheltered with trees. 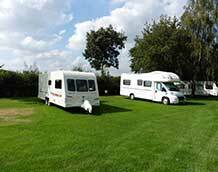 We have 27 touring pitches for Caravans, Motor Homes and Tents. 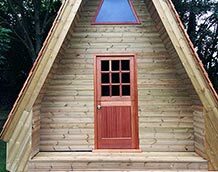 For those who like a few extra home comforts, we have a luxury glamping cabin and two holiday homes. Our aim is to provide and keep a high standard of service in a peaceful, rural setting. Many of our visitors have been coming to Southfork for a number of years, either to break up a long journey, or, just to relax in the open countryside. We are open all year so you can experience each season in this beautiful part of the West Country. 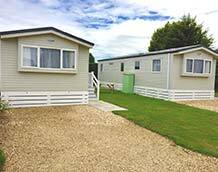 We operate a storage facility, with the drop off and collection at the Caravan Park. We have a caravan & motorhome workshop on-site. Our shop has a wide range of parts and accessories for all your touring needs. You don't get many better places to spend summer than our location in the heart of South Somerset - when the weather is nice the countryside comes alive in the summer sunshine. If the recent spell of weather has made you want to escape to the great outdoors, you aren’t alone. Spring has always been a great time of year for camping.